New York (TADIAS) – Our second event in the Tadias Salon Series is scheduled to be held on Tuesday, August 9th as we host internationally renowned British-born Ethiopian Poet and Author Lemn Sissay in partnership with Ms. Ethiopia Alfred and Ginny’s Supper Club in Harlem. We invite you to a fantastic evening of spoken word, poetry, live entertainment, and a conversation with Lemn along with a dinner feast at Ginny’s. Lemn is the author of several books of poetry alongside articles, records, public art, and plays. He was an official poet for the London Olympics four years ago, and received an MBE from the Queen for Services to Literature. His poetry has been installed in various historic locations in Manchester and London including at The Royal Festival Hall and The Olympic Park. Lemn’s inspiring life story, which is depicted in the BBC documentary Internal Flight, includes growing up in England’s foster care system, yet rising to become a widely acclaimed playwright and author. Lemn received an Honorary Doctor of Letters from the University of Huddersfield in 2009, and currently serves as Chancellor of the University of Manchester. 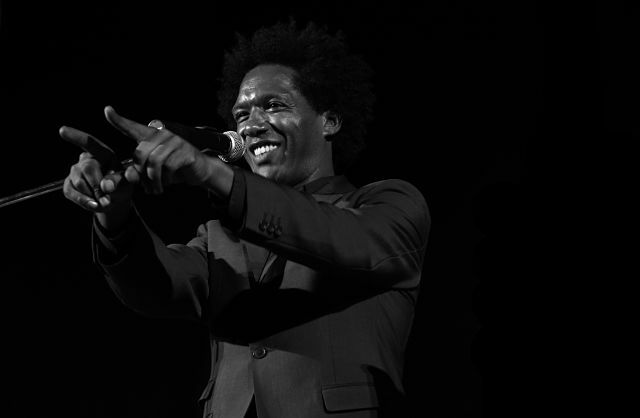 In addition to an evening of dinner and spoken word with Lemn Sissay, Tadias invites you to a VIP reception to meet the artist through our diamond and platinum sponsorship packages. Join us in welcoming Lemn Sissay to Harlem, New York as part of our continuing Tadias Salon series and honoring this amazing literary artist. Time: 6-7pm VIP reception; 7-10pm Dinner, Spoken Word & Entertainment. For sponsorship of Tadias Salon Series at Ginny’s on Tuesday, August 9th please contact us at 646-595-7344, or email us at info@tadias.com.